Storybook Island–A Bucket-List Worthy Place! If I had a bucket list one of the items would be to spend the day with my whole family at Storybook Island in Rapid City. No, I’m serious. 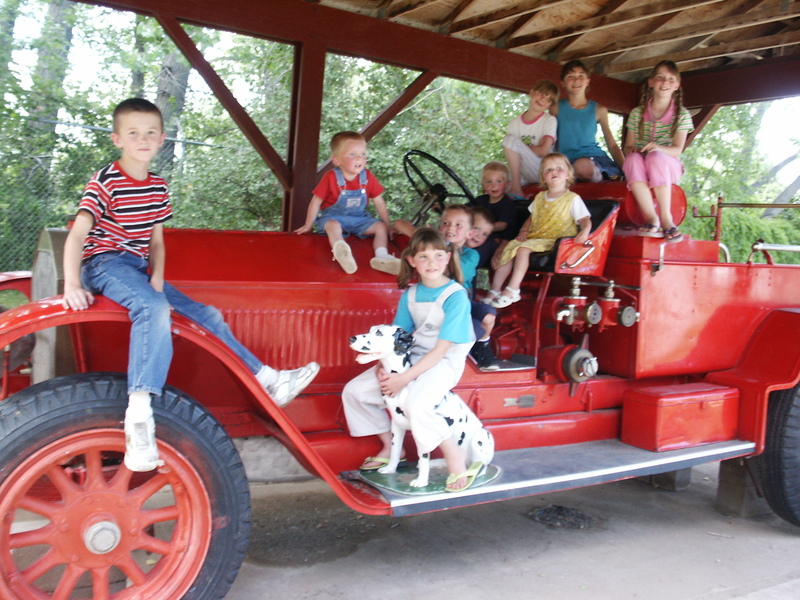 Storybook Island is a very special place, as anyone who has been there with a child age two to eight can attest. Oh, kids younger than that can enjoy it. Children older, even those MY age can also enjoy it. But, if you want to get the most entertainment out of the experience, you need a two to eight-year-old and a camera. Storybook Island was first built in 1958 by the Rotary Club. It was on an island in the middle of the park and there was a nifty bridge entering the park called London Bridge. I don’t remember that part because in June of 1972 the flood tore through the park destroying almost everything. A few of the storybook displays were discovered downstream, but the entire park had to be rebuilt. At that point they moved the park to its present position which is where I’ve always known it to be. When I moved to Rapid City in 1995 I was a new aunt of three nieces, all under six months old. For the next ten years I lived right there in the middle of my growing brood of nieces and nephews. By 2005 there were ten. At least once a year we converged on Storybook Island with cameras, picnic food, and kids! Two days before my wedding my personal attendant and I took the kids for one last trip. It was bittersweet. I knew it would never be the same, because they just have this awful habit of growing up! Thankfully, I’ve had another niece and nephew come along, and when I’m home I get to visit the park with them. The great part is this: even the older ones still like to go. I can see in their faces the memories of previous visits. They laugh at the antics of the little ones. They encourage them towards the spot that was THEIR favorite. I’m sure in another ten years we will still be going. Only it will be another generation of nieces and nephews! It’s a neat place. A special place. One worth picking for your bucket list! At least, that’s my opinion. At last count I have lived in twenty-two houses over the course of my lifetime. That’s a lot, really. Maybe that’s why I remember with greater fondness the ones that I lived in the longest. One of those was the house on 5th and Elm in North Platte, Nebraska. We lived there from the time I was in first grade until the summer after seventh. The house was a rental property sitting right next to the owner’s home. It was one of the smaller homes on the block and it wasn’t small. There were five rooms on the main floor plus the bathroom. There was an upstairs with two huge rooms, one tiny room, and a walk-in closet. There was an unfinished basement underneath. Our landlord lived next to us. Mr. Maynard Crosby—a lawyer—was my mother’s boss and one of the kindest, gentlest people I ever met. At one point, his son Robert—once governor of Nebraska—lived in the little house next door, our house. The basement of the house was a little apartment which he used as a guest house. I remember at least one occasion when my grandparents stayed in the apartment and I got a tour. It was really cool! The backyards of the two houses were undivided. There were no fences and Mr. Crosby loved having the neighborhood kids play in his yard. There were a lot of us. Behind us was a family with ten children. Across the street was another with eight. On the other side of Mr. Crosby was a family with three. There were three of us. So, as you can see, Mr. Crosby was a generous man. He had a fish pond in his backyard which he kept stocked with gold-fish. There were snails and in one end were cattails. I asked my sister what he did with the goldfish in the winter. She says he left them there and they hid out under the cattails when it got cold. We both remember one year when we tried to bring them in for the winter and they all died. We put our fish in there a couple of times, then had the best time at the end of the summer trying to decide which HUGE fish was ours. Mr. Crosby also was hospitable and I’m afraid many of us kids took advantage of his hospitality. He kept a dish of candy on his table and pop—or soda if you prefer—in his fridge. It was known that he didn’t lock his back door that opened into his kitchen. Now, WE knew we were NOT allowed to go there when he wasn’t home and we were to WAIT for him to OFFER us something. That was hard sometimes, and I’m pretty sure I didn’t always properly express my gratitude. To this day, though I can’t eat hard peppermint or butterscotch candy without thinking of him. He was Presbyterian. I wasn’t sure why anyone would want to be THAT. It was too hard to say and spell, but Daddy told me that Mr. Crosby loved Jesus just like we did. Sometimes he would come to our church because his didn’t have evening services. That was another strike against his church in my book. The evening services were my favorite. So, when I decided to write a book—The Double Cousins and the Mystery of the Rushmore Treasure—about a small town community store much like the one in our neighborhood in North Platte, it seemed the obvious choice to give the owner Mr. Crosby’s name. Someday when I get to heaven I’m going to give him a big hug and properly thank him for the part he played in my life. And for all of that candy. It wouldn’t surprise me one bit if he’ll have a bowl of candy on the table of his mansion.